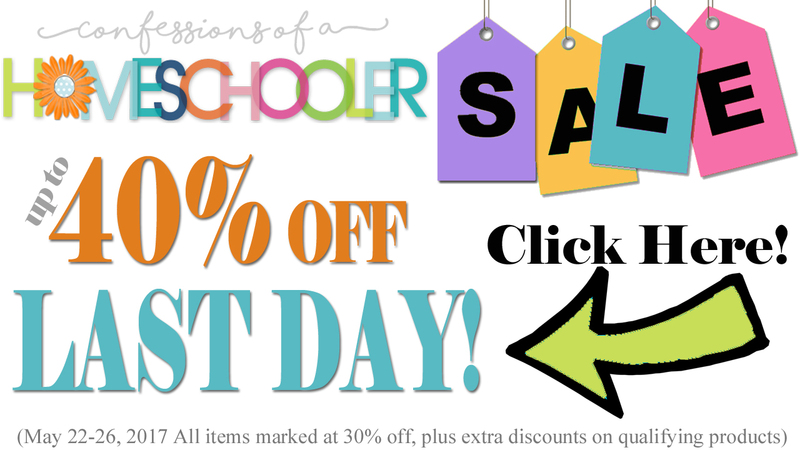 Day 5: 40% OFF Homeschool Curriculum Sale! Hey guys! Today is the LAST day for my 40% OFF sale! Unfortunately sale prices will not be honored after tonight at midnight MDT, so make sure to get your orders in before then! I’m also doing a different giveaway each day, so if you missed my previous posts for this week, you may want to go back and enter to win the giveaways! NOTE: I only do this sale once a year, so if you’ve been waiting to get something, now is the time. I’m sorry but the sale is only valid from May 22-26, 2017 so make sure to get your orders in during that time. Just to keep things simple and easy, there is no need for a coupon code this time around. Instead, I’ve just marked everything in my store at 30% off, plus you’ll get an additional discount if you purchase 2 or more qualifying items totaling up to 40% off. Visit the Confessions Store to see all the goodies on sale! This sale is valid from May 22-26, 2017 ONLY!! I apologize to anyone who has purchased prior to today or who may miss this sale, unfortunately the sale prices are only effective for purchases made during the week of May 22-26, 2017 ONLY. 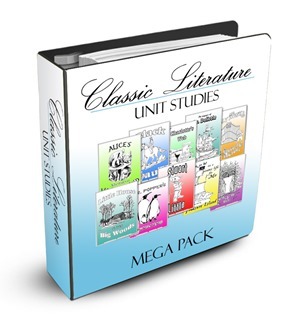 Today I’m giving away three copies of my Literature Mega Packs! I’ll pick three winners, and they can chose which one they want! Feel free to purchase this product during the sale so you can get the discount, and I’ll refund your cost if you win! 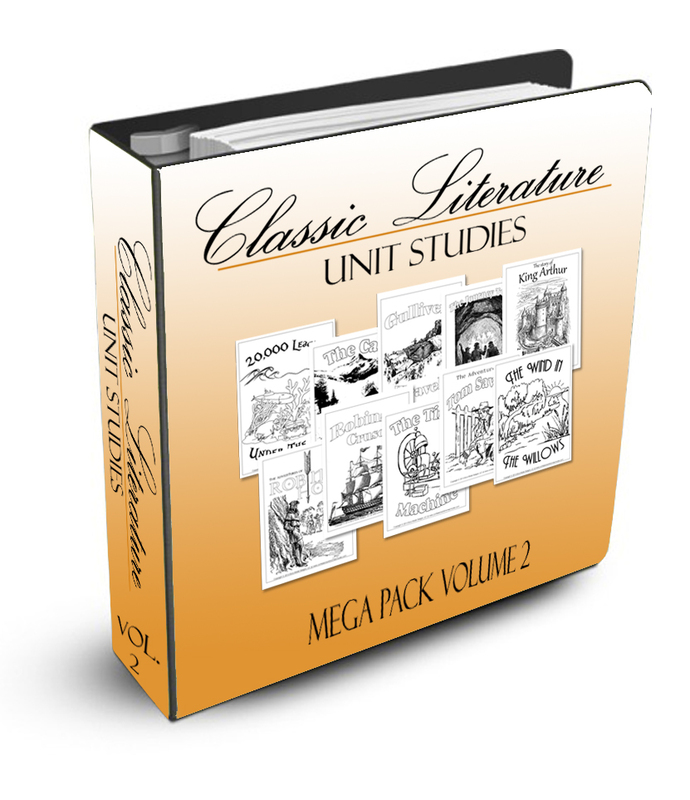 It is an incredible collection of study material. Worth of purchasing. Thanks for giving a extra-large discount of 40%. Wow! 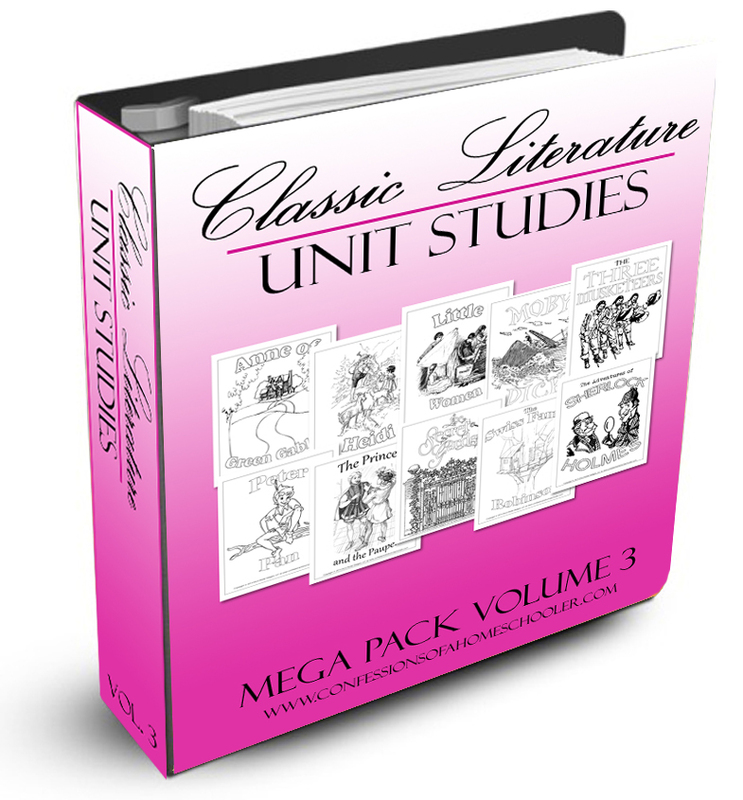 Great collection of literature that fit both boys and girls very well. Thanks for offering a generous discount!